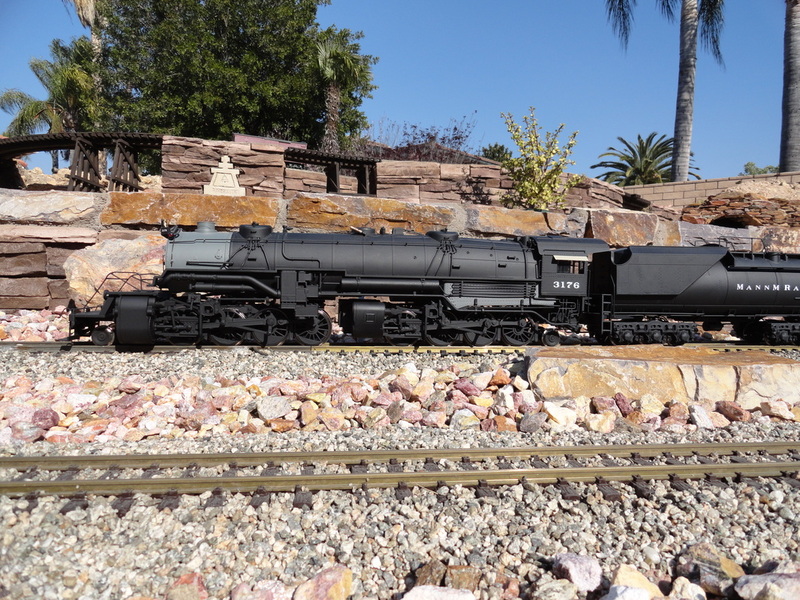 This locomotive started out as an Aristo Craft Southern Pacific 2-8-8-2 mallet that was converted to the MANNM Railroad. 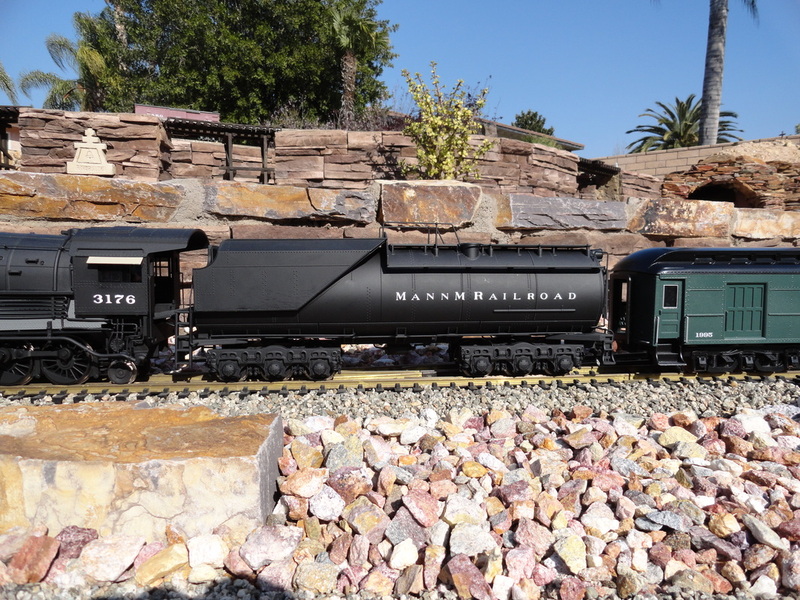 The plan for this engine is to lead the MANNM Railroad's excursion train. 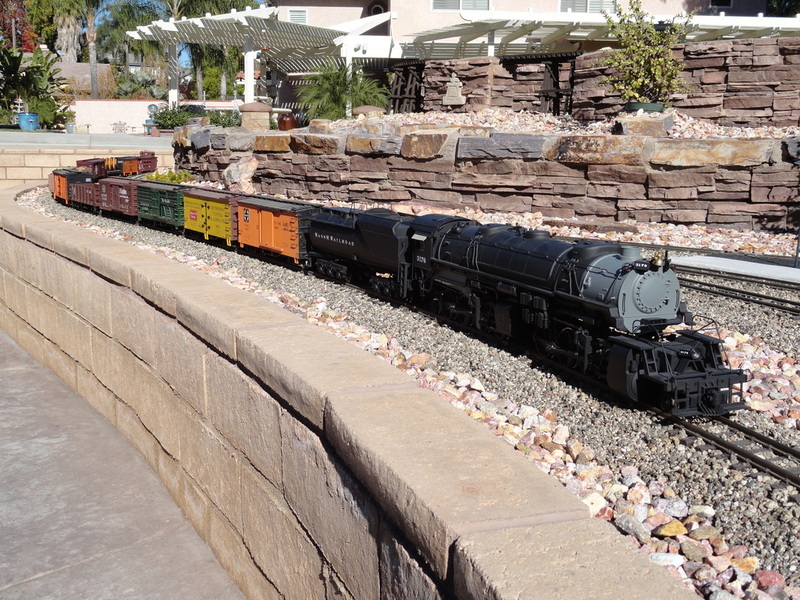 The engine was completely repainted including the drivers. 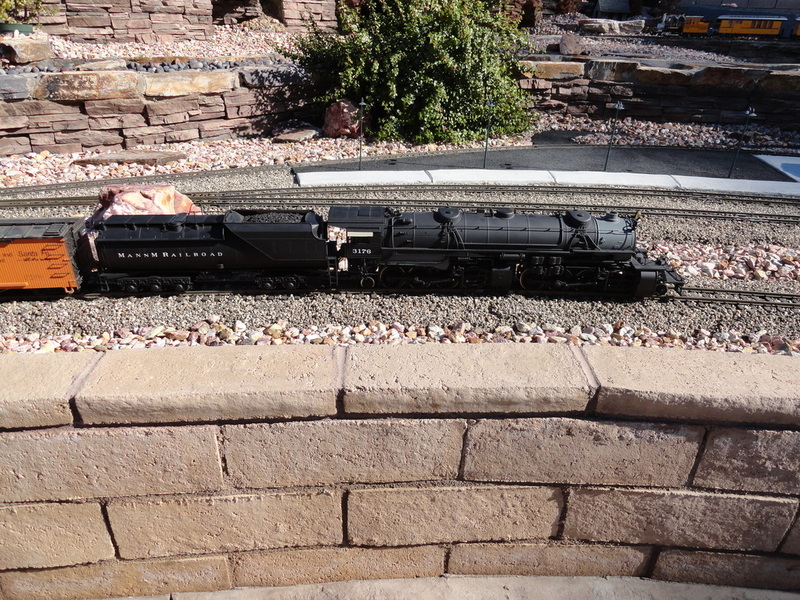 The plastic coal load was removed and replaced with real coal. The engine also has a Phoenix Pb9 sound system. From the factory, this is a beautiful engine but I added a few details to enhance its appearance. 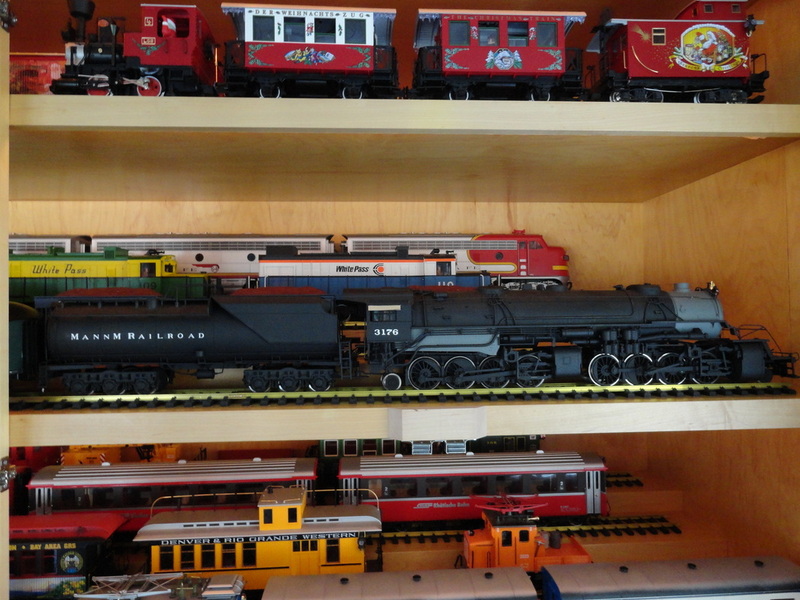 The first thing I did was to repaint the Southern Pacific locomotive to get ready for the new lettering. I spray painted the drivers while the engine was running in place and immediately cleaned the drivers using MEK. This way, there is a nice even coat of paint, yet I still pick up power from the rails. After spray painting, I let the engine run for close to an hour while the paint cured in order to avoid the paint from cracking. Next, I replaced the plastic coal load by cutting it out and building a new base for the coal lower down in the tender. 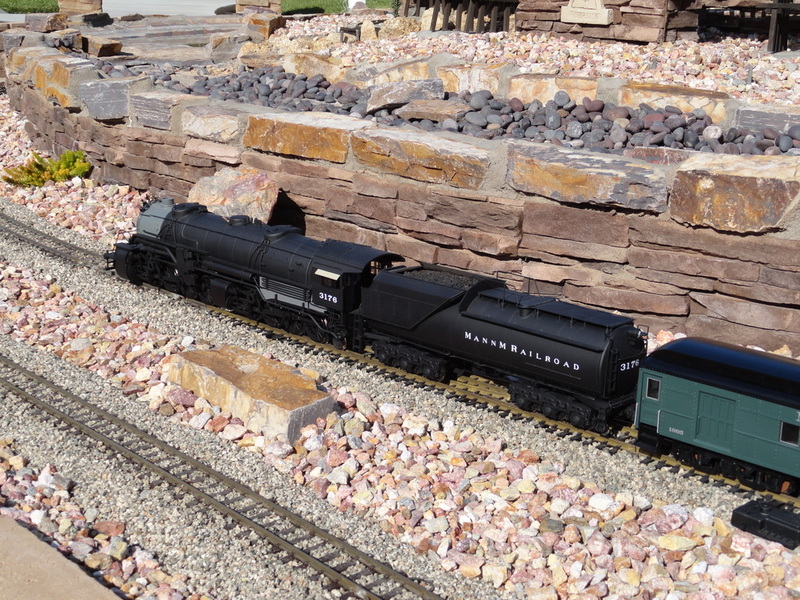 I then poured coal into the new tender and allowed the glue to dry. 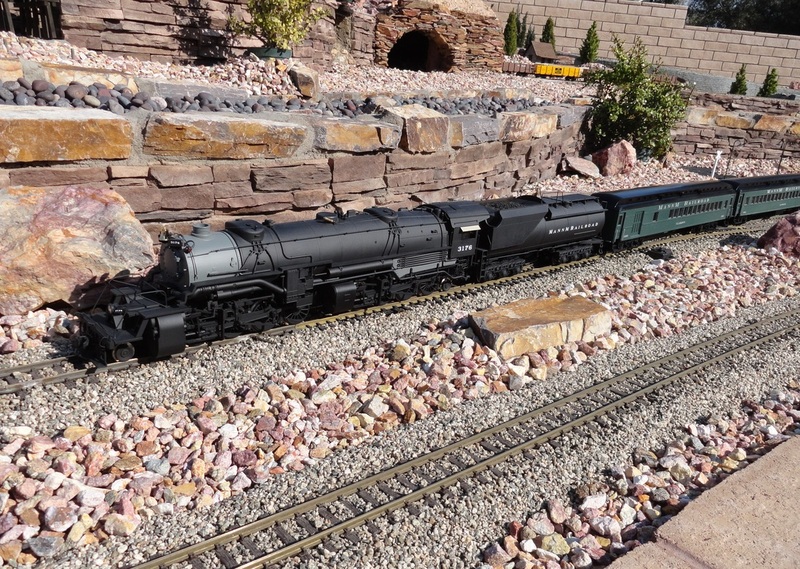 I really like having the coal lower in the tender because it makes the engine look like it is in use. Finally, I added cab sunshades, air hoses, and some extra piping. Below is a comparison of the model to the one from the factory.